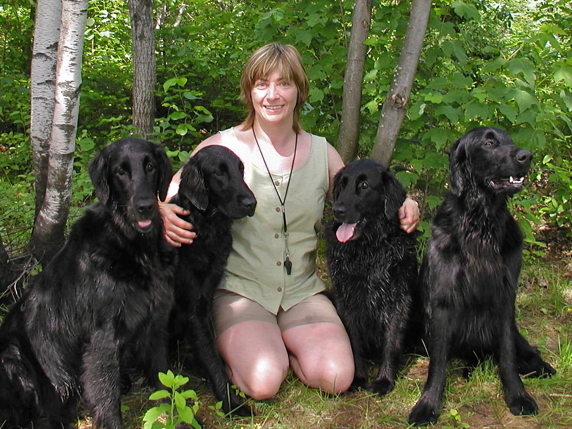 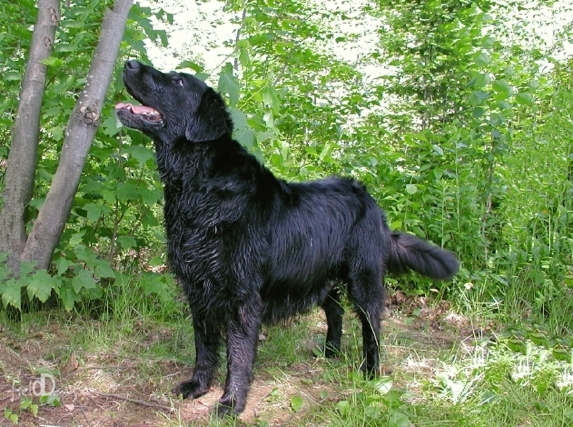 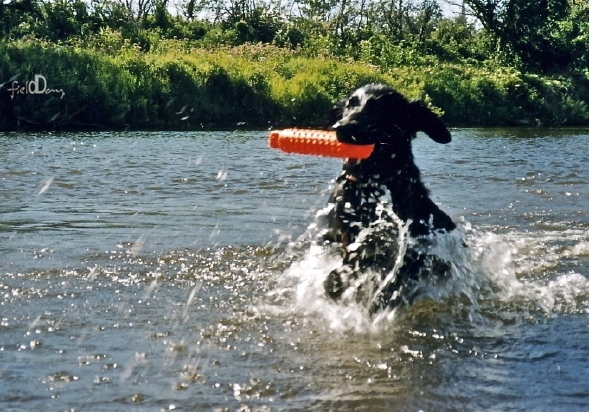 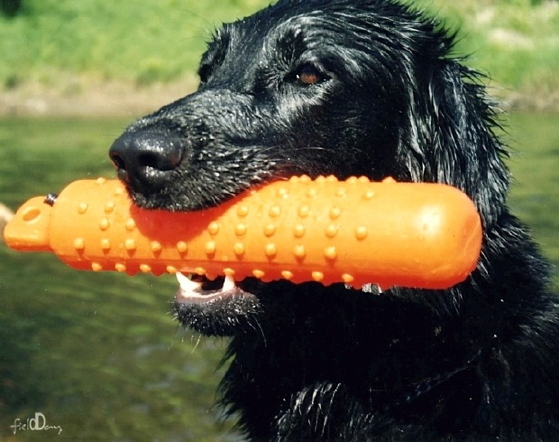 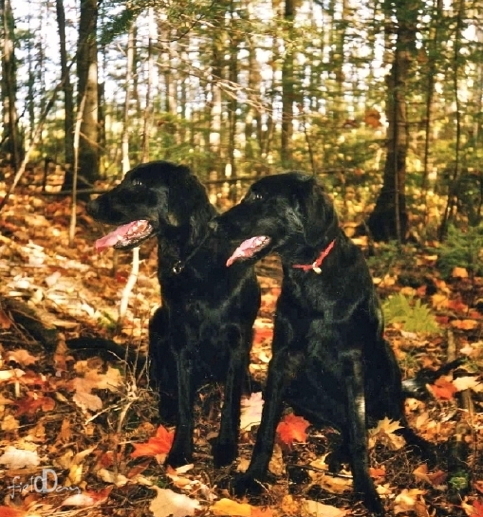 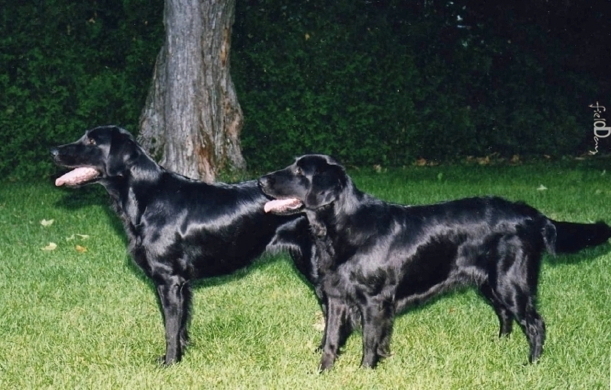 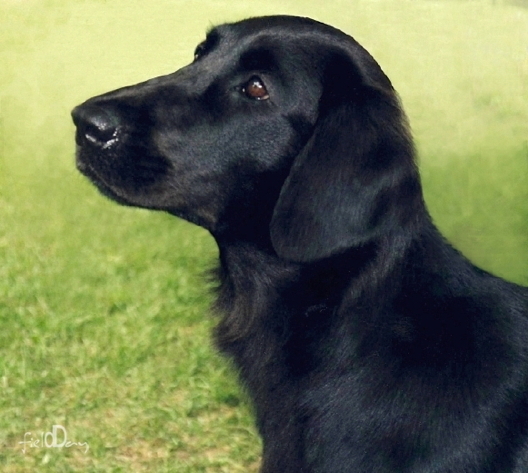 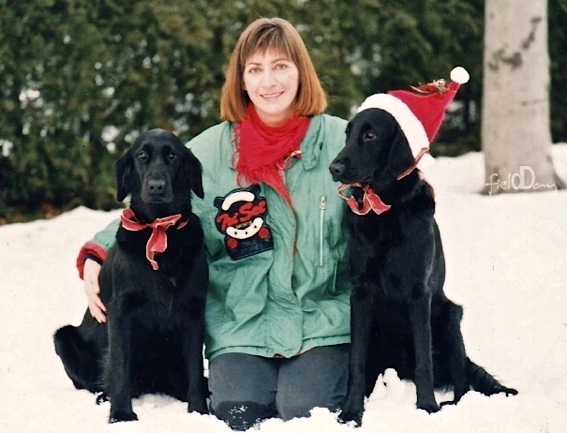 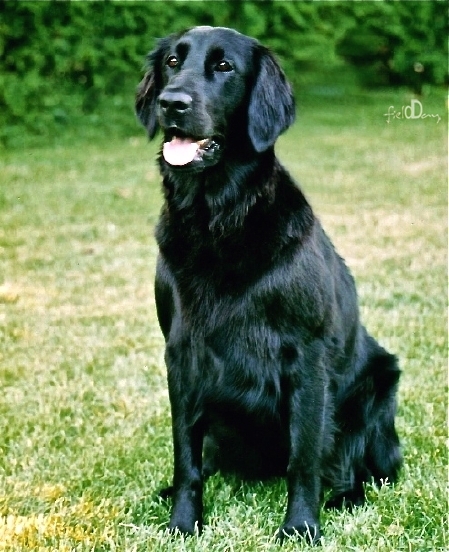 It was on October 20, 1995, thanks to Wendy Miller of Ryvertown Kennel in Michigan that my Flat-Coat adventure began. 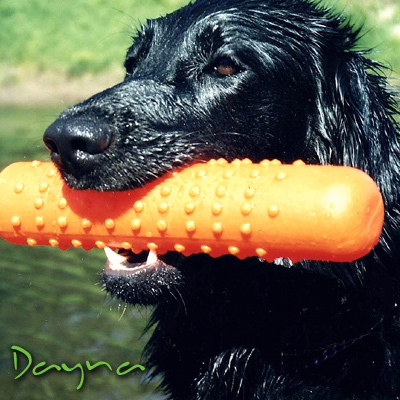 Dayna was completely owner-handled to her Canadian Championship in spite of the many embarrassing moments her novice owner put her through. 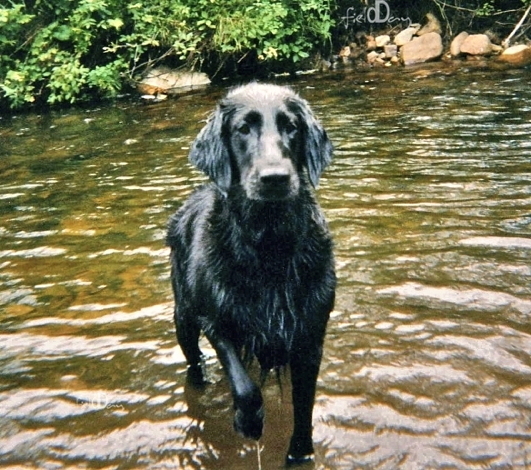 On no account did this wee girl of 22’’ and 56 lbs ever give up on me and her determination, sweetness and patience made me want to do more with her. 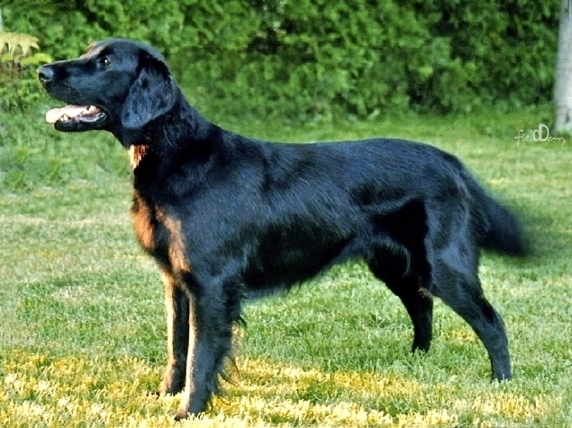 After her CDX obedience title we had to try something new and, with snow on the ground and ice-covered ponds, field training was given a try and we immediately became hooked. 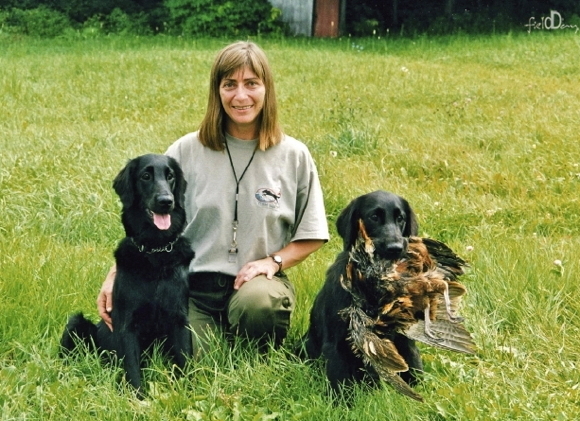 Six weeks later, at the 1999 FCRSA National Specialty, Dayna succeeded her Am Working Certificate (WC). 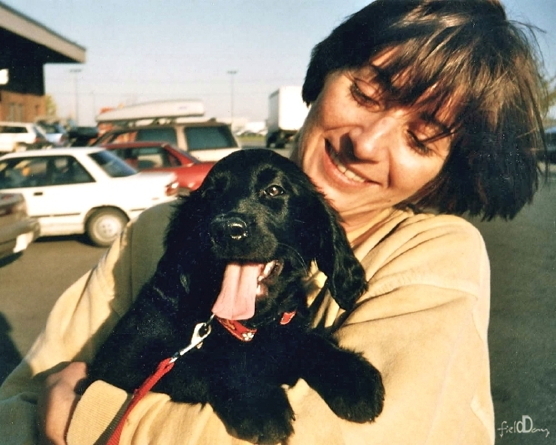 That same summer, she went on to earn her Can Junior Hunter and WC titles, with some wonderful comments“… a 10 on every test today, precise work accomplished with confidence and enthusiasm”. 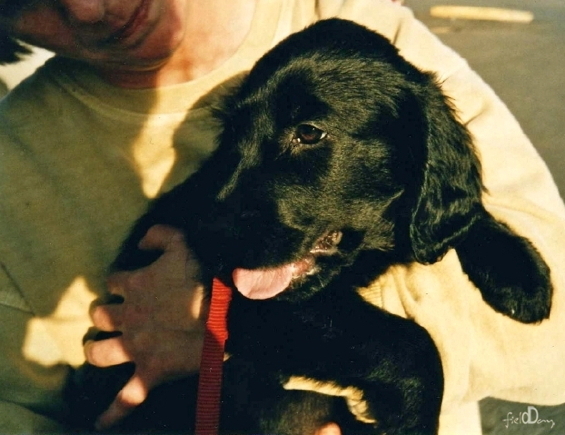 Exceptional she was in every way and cherished she’ll always be.
" 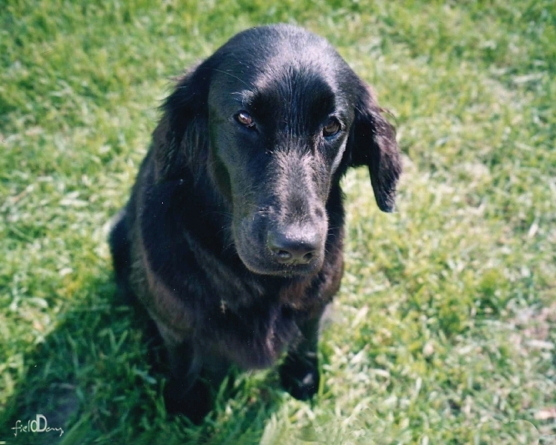 ... with eyes that laughed and a boundless good nature"